Firstfruits? Can an Old Testament holiday apply to your life today? Some people ignore the Old Testament as irrelevant today. That presupposition could be refuted in several ways, but in a 2-part blog post I wanted to show how learning about one holiday in the Old Testament can help us better understand the New Testament and shed light on our lives as Christians even today. The ancient Israelites had an annual cycle of feasts or holidays (also called festivals) that they kept throughout the year as appointed by God. Four of these were in the spring, and three in the autumn. These holidays were a sacred time to remember God’s provisions in the past, His work in the present, and the hope of future provision. Likely you have heard of some of them such as Passover and Pentecost. Besides providing us with a review of the history of ancient Israel, in these holidays we can see a foreshadowing which was fulfilled in the Messiah, Jesus Christ. We’ll consider the lesser known holiday of Firstfruits. In this post, the focus will be on the Old Testament. Hang in there! Then in part 2, we will look at references to firstfruits in the New Testament…and discover depth of meaning in some New Testament passages which we might have otherwise missed. Firstfruits is an agricultural term. Indeed, various aspects of the Jewish holidays were linked to the agricultural cycle of the land of Israel. Firstfruits were the earliest gathered fruits of the spring harvest. 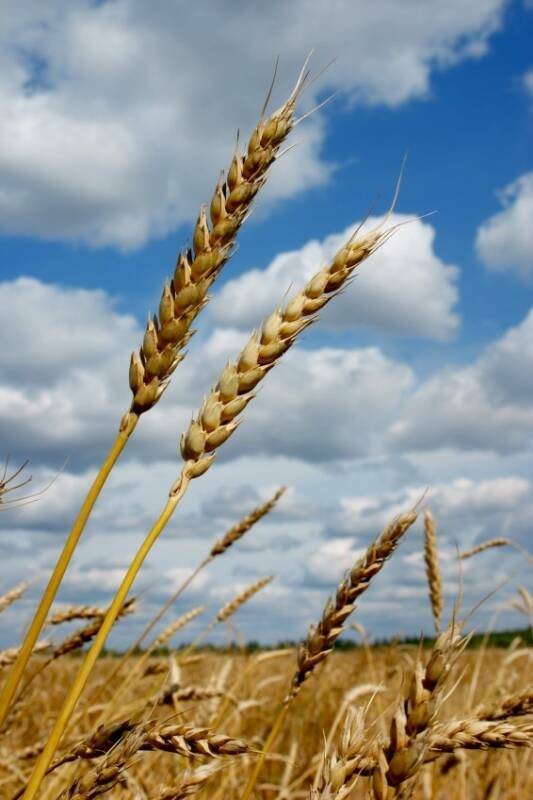 Barley was the earliest grain to ripen about the month of April, which is Nisan on the Jewish calendar. Other grains, such as wheat, did not ripen until later in the season. The Feast of Firstfruits is only dealt with briefly in the Old Testament law, yet its importance should not be overlooked. The two primary passages on this holiday are Leviticus 23:9-14 and Deuteronomy 26:1-11. The Leviticus passage describes a distinct ceremony on a specific day. It appears to be linked together with the eight day celebration of Passover and Unleavened Bread. Since Leviticus 23:11 refers to the day after Sabbath, it is generally believed that the Feast of Firstfruits was celebrated on Nisan (April) 16. Verse 10 also indicates that this feast would not begin to be celebrated until they had entered the land, likely because they had made a transition from being nomadic in the wilderness to having a permanent home in the land. For this ceremony, the people would bring a sheaf of the barley harvest to the priest who would wave it before the Lord. Then they would offer a burnt offering of a male lamb, a grain offering of fine flour, and a drink offering of wine. Verse 14 indicates that no barley was to be h arvested until this firstfruits offering had first been brought to the Lord. It also states that this would be a lasting ordinance throughout the generations. When the Israelites brought their offering of firstfruits to the Lord, it acknowledged that the products of the land came from God. They were offering back to God what He had given to them. They were also putting God first, as they did not begin to harvest the crop until God’s portion had first been offered to Him. For those in an agricultural society, this certainly had more meaning and significance than we can fully grasp in our modern, non-agrarian way of life. This was their livelihood, and a distinct element of faith in God is demonstrated. We’ll move into the New Testament in part 2. Mention of the barley and wheat harvests made me think of Ruth and how she followed Boaz’s harvesters as they gathered the crops. Looking forward to the next installment, Laura. The Festival of First Fruits is about God and food, two subjects I am never bored by. Good post, Laura. I’m a little under the weather right now, but something you wrote made me think, for the first time, that maybe this was a hard transition for the Israelites, going from being nomadic for sooooo long (their own fault!) to being settled. A relief, sure. But maybe kinda hard and scary, too, especially for the younger ones who didn’t know anything about farming, etc. Hi, Laura, thanks for stopping by. Yes, good point – change or transition can be hard. Even if it is “good” change, one has to adapt to new ways. I hadn’t thought about how they were fed with the manna and quail in the wilderness, and farming in one spot would have been different! And I think about all the things that could have taken out their crop – locust, blight, famine, etc. My instinct would be to hurry and harvest the crop, and then thank God.